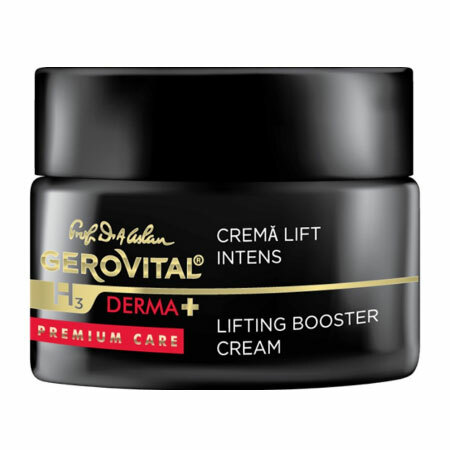 Gerovital H3 Derma +Premium Care celebrates 50 years of Gerovital cosmetic products, being the first premium line launched by Farmec. 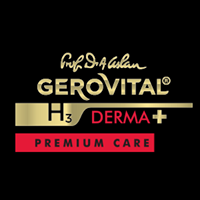 Based on the latest innovation in dermato-cosmetics, the Gerovital H3 Derma + Premium Care line brings the facial care to a new level of efficiency. High concentrations of active ingredients have an increased anti-wrinkle and skin-regenerating effect. Designed for the women of age 30 to 50, the products are easy to use and address all skin issues, being also recommended for accelerating skin healing after aesthetic surgery procedures. 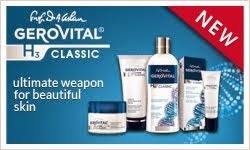 Created in collaboration with health experts, the products are perfectly tolerated by all skin types. The ANTI-WRINKLE BOOSTER represents the first intensive care program from Gerovital which aims to totally transform your complexion in just a week. Seven vials - high in active ingredients and sophisticated formulas tackle all signs of aging: lines and wrinkles, dullness, uneven skin tone and dehydration. Three moisturizers comfort the skin: ANTI-WRINKLERESTRUCTURING CREAM SPF10 improves the three-dimensional structure of the skin, offering a visible re-densifying effect. The SOOTHINGPROTECTIVE CREAM has been designed to offer protection and regeneration to sensitive, prematurely aged or mature complexions and to heal the skin exposed to aesthetic procedures. The LIFTINGBOOSTER CREAM, an intense overnight treatment, acts on the extracellular matrix level improving skin elasticity and redefining the skin contour. Two special products offer the skin a resurface and whitening effect. The WHITENING GEL fades pigmentation and freckles, unifies skin tone, promoting a bright, more even, younger looking complexion, while the EXFOLIATING BOOSTER WITH AHA combats dull, uneven-toned, dry and fatigued skin and restore its vitality and natural luminosity. 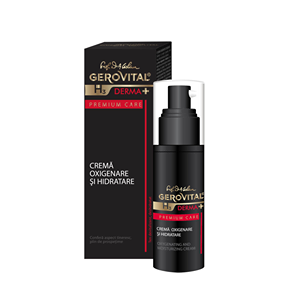 The OXIGENATING AND MOISTURIZING CREAM is a sophisticated day care product designed to respect the diurnal energetic necessities of the skin. It enhances the absorption of the active principles from your entire skin care regimen, leaving the skin feel radiant and vivacious. Using the needle-less technique, the DEEPWRINKLE FILLER smoothed deep wrinkles and increases skin tonicity. For a natural and uniform skin color, the line offers the CC CREAM SPF10, a multipurpose product which combines the properties of a make-up product with the benefits of an anti-aging line moisturizer.